Navigation system address: Oudeweg 72, Nootdorp. This is the address for De Vang. Parking is free and finding a spot is not an issue. De Dobbe (restaurant) and De Vang (cafe food). You can walk offleash around most of the pond, and through some of the woodland area. This is clearly sign-posted as ‘hondenbos’. Dogs are not allowed at all in the areas designated as nature reserves from 1 April to 1 October. This is also clearly sign-posted. 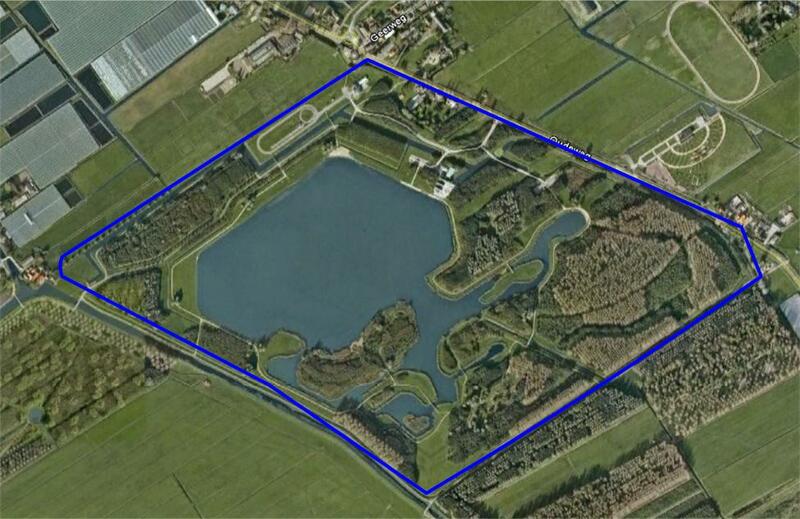 A rather large domain with a series of really large ponds and lush reed vegetation. It has a woody area that your dog will no doubt have lots of fun exploring. The offleash dog part gives access to the water with a sandy edge, where the water bank is at a gradual incline, so the water is easily accessible for dogs. It does not seem to get crazy busy, but then again I went on a really overcast day. I didn’t see the usual piles of rubbish. If you go there on Sunday morning, you could come across the newfoundlands practicing water rescues with a dummy (Watertraining NF). It gets really muddy on the banks of the ponds. You quickly hit the zones where dogs are forbidden.